I’m a wife and daughter. A sister. A granddaughter. I’m a Christ follower and a friend. A small business owning (living on all the coffee) work-from-home boss. I love and I take all of my little roles seriously, but the one that both my husband and I cherish most (together) is: parent. I am a mother. That’s a loaded statement. It’s heavy and I know that I am beyond blessed to carry that responsibility. My little ladies give me purpose beyond what I thought was possible. My love for them (and their daddy) is unconditional and unending. *The photos of my very own family were taken by, the lovely and talented, Rachel Rossetti. *The photos of my very own family were taken by, the one and only, Rachel Rossetti. So many days with my husband and girls are truly amazing! Enjoyable and effortless. But each phase of life presents new challenges and not every day is perfect. I completely lose it every so often. I set the smoke alarms off cooking dinners (frequently). On tough days I don’t get the amount of work done that I had hoped. And at the end of the really, really tough days, I lay my head on my pillow feeling like I could have been better for everyone, including myself. It’s a balancing act and chances are if you’re reading this you know it all too well (or you’re about to!!). So we have that in common and it’s nice to know that we can be in each others corner. We are all together in this wild parenting journey. I ‘get it’ and that allows me to photograph families from a place of understanding, with extra patience. I carry the thousands of emotions, associated with that role, to every session. Authentic moments beat perfection in my world and that approach lives at the core of me ‘the mama’ and me the ‘family photographer’. I can't even begin to tell you how much these photos mean to me! They are filled with emotion and just perfect! This time with kiddos, 4, 2, and new, is kind of blurry from feedings, and diaper changes, and runs to the potty, and 'did you brush your teeth today?'. Now I will be able to look back on this crazy time and remember my babies and what life was like in our home in Pittsburgh years down the road and many moves later. You went above and beyond any expectations that we had and now we have these beautiful moments to keep forever! Thank you, thank you! These pictures are a true reminder of how blessed I am to have two happy, healthy, WILD boys in my life. I will forever treasure these moments you have captured! 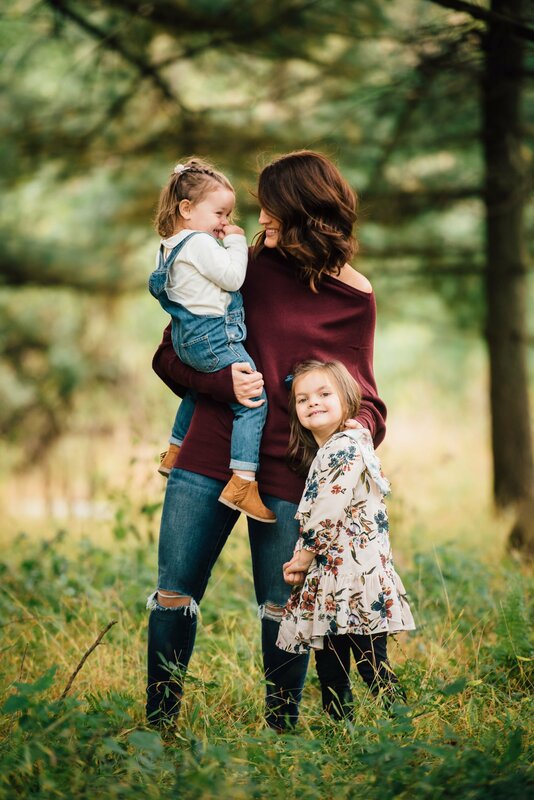 Your laid back attitude gets my husband and kids to cooperate so I can get family photos I am included in and I am in love with the lifestyle approach you take that captures the personalities and family dynamic that I will cherish 10 years from now. The session was incredible. I could instantly tell that you “know” kids. From your welcoming of lollipops to the way you got their attention and kept them laughing, it was obvious that you truly understand children. Your energy level matched theirs, which is not an easy task! Normally, family picture day is a mental and physical workout. This is the first one that I truly enjoyed! !